I do most of my radio listening these days via Internet and radio station streams. Two of my favorite radio stations that get a lot of my listening time are WCBS-FM in New York City and KRTH in Los Angeles. I’ve been listening to K-Earth 101 (KRTH) for quite some time via the Internet. Unfortunately the sonic quality of the stream was anemic at best. This point was really driven home when I took a college spring break to drive the Pacific Coast Highway. My drive began at LAX. Just as soon as I was handed the keys to my rental convertible, I turned on the radio and cranked up K-Earth 101 and one of my favorite radio personalities, Shotgun Tom Kelly. (Kelly just marked his 17th anniversary of holding down the PM drive slot, a position previously held by fellow Hollywood Walk of Fame Star, The Real Don Steele.) Man, did that station explode from my car’s dashboard; big and bold with a sound that begged for a driver to put the pedal to the metal on the 405. When I got back home to Kentucky, I put the K-Earth stream on and was disappointed by the lack of audio gusto. That is, until recently. K-Earth now sounds as good on their stream as they do over-the-air. And that’s not surprising as a lot of stations are really paying attention to the audio quality of their streams. But that, unfortunately, is all they are apparently paying attention to. 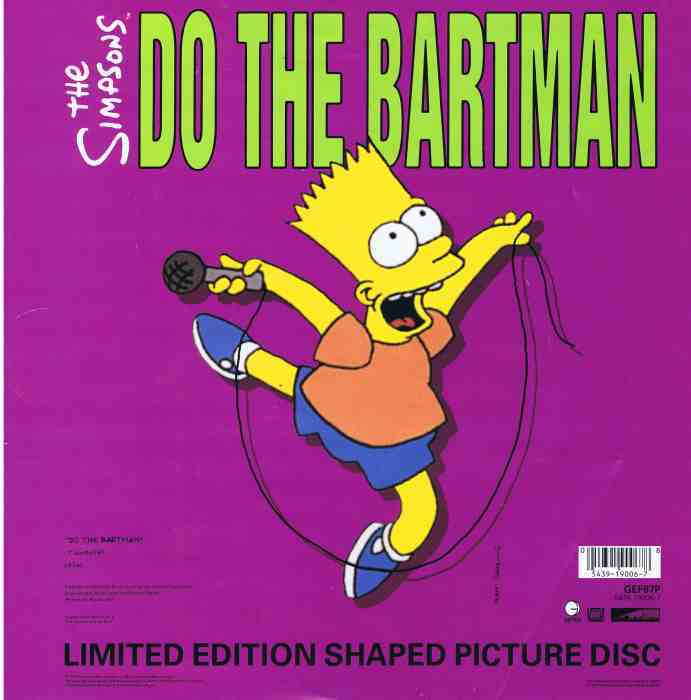 Which brings me to “Do The Bartman.” That was a song that Michael Jackson (yes, that MJ) wrote for Bart of The Simpsons. Michael was a big Simpsons fan and he called the show’s producers and volunteered to write a hit song for Bart. (He did and it was.) How do I know this? K-Earth and WCBS-FM told me. Again, and again, and again, and again, and again, and again, and again, and again….well you get the idea. They told me this factoid a lot. And I’m not talking over a course of days, try in the same break. Sometimes this factoid ran back to back in that break. OK, I realize that someone thought it would be a good idea when the stream didn’t have the same amount of commercials sold that the over-the-air programming had, to fill that extra time up with something cute. And it was cute, the first ten times I heard it. But cute goes bad quickly. And cute can really begin to annoy the listener with a very high burnout rate. It doesn’t seem to matter whether I listen to WCBS-FM with Scott Shannon in the morning (Scott’s doing some of his best radio work ever by the way) or drive home with Shotgun Tom Kelly on K-Earth 101, I will be subjected to the “Do The Bartman” factoid quite a few more times before a new factoid is researched, written and replaces it. You don’t hear this lack of attention to detail on pure play streams. And that’s where pure plays have the advantage over broadcast radio stations that stream. Today’s broadcasters now understand that the sonic quality of their streams is as important as their over-the-air signal, but they still haven’t got the programming of the breaks right yet. It’s really more than just the length of the breaks by broadcasters vs. pure plays, but that’s a big deal too. Broadcasters need to listen to their streams and ask themselves, “Am I happy with the way this sounds?” My bet is they would not be happy. Oh no, here comes “Do The Bartman” for the umpteenth time.